Briefly soak the rusks in water to soften them slightly. Grate the tomatoes and add salt, pepper and oregano to taste. Grate the feta cheese. Peel the shrimps, leaving the tails on and sauté in olive oil and then, add the ouzo. Place a spoonful of tomato on the rusk. Cover the surface with the grated feta, and finally place shrimp on top. 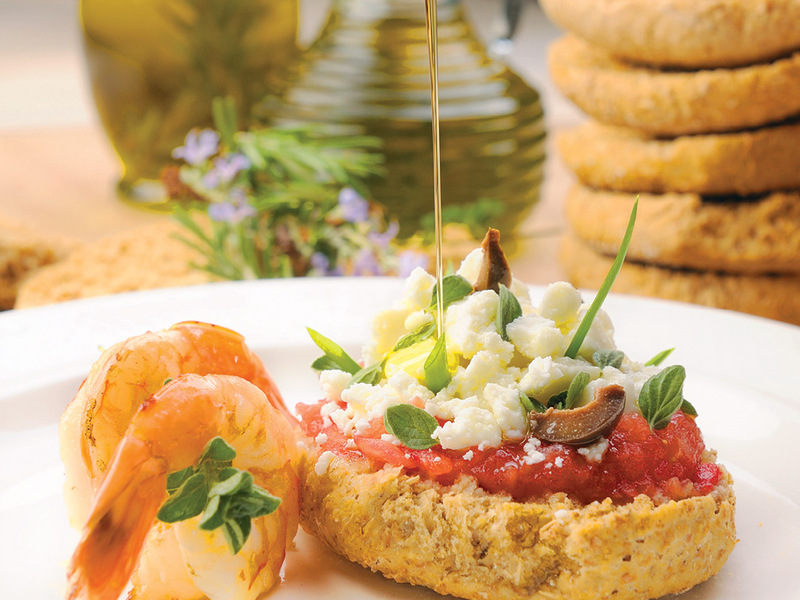 Spread a spoonful of tomato on the rusk and evenly sprinkle with the feta cheese on top. Decorate with the sautéed shrimps and serve.